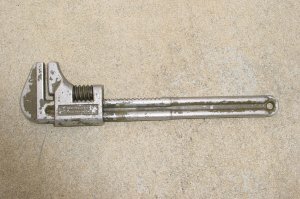 Sparkplug Wrench and Handle, etc. 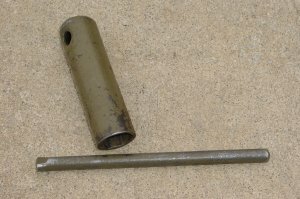 Home /Sparkplug Wrench and Handle, etc. This page illustrates the tools that I have collected over the past twenty or some years. Yes, I know that some of the tools are not original. However, they are representative of tools of the era. 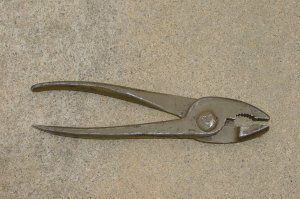 These are pliers that someone sold to me as “original”. All they appear to have done is ground one handle to a screwdriver point. 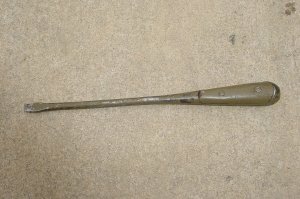 This appears to be a correct screwdriver of the WW2 period. It does not have any markings. The sparkplug wrench and handle make it easy to remove your sparkplugs. This is an adjust-able wrench useful when used with the axle nut socket. 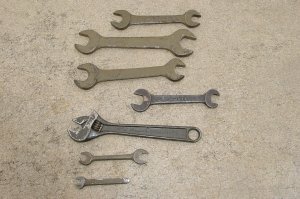 Assorted wrenches that resemble originals but are not. 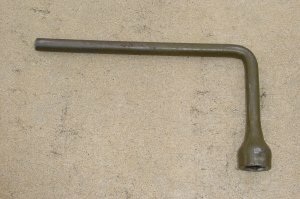 Jack handle and lug wrench.